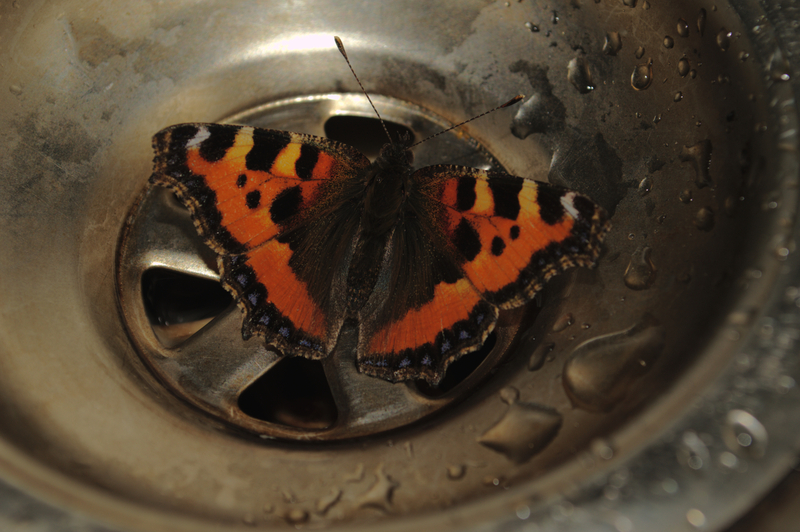 I was surprised to find this beautiful small tortoiseshell butterfly drinking from my kitchen sink recently. I had seen it at rest on a wall for a few days but it seems that a sunny day had roused it from the early stages of its hibernation for the winter. These butterflies (Aglais urticae) are found across Eurasia but have been declining dramatically in numbers in Western Europe in recent years. It seems that, like so many creatures, they are in danger of finding the evolutionary plughole unless we take serious action to tackle climate change.